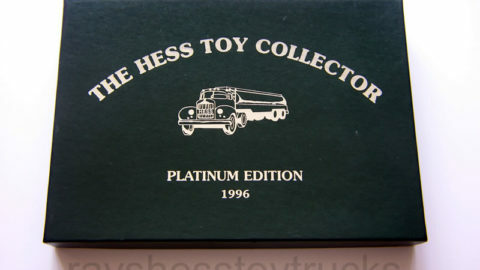 Truck is a replica of the actual fire engine used at the Hess refineries and storage terminals. This is a pumper style truck with two removable hoses on one side and a ladder on the other (all original). There is a swivel water cannon on the top of the engine bed. This truck has a rotating light that flashes on the top of the cab. Truck is in mint condition (see pic). Great display piece. Battery compartment is clean and the light on top works. Box has bright graphics and in excellent condition with some very faint age spots (see pics). 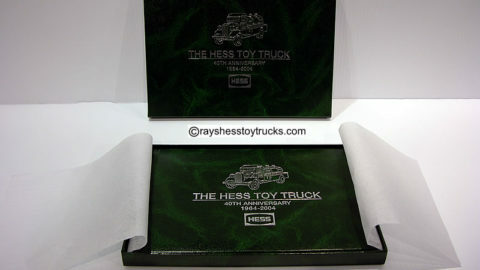 Included in the box are the 4 inserts & battery card all original.